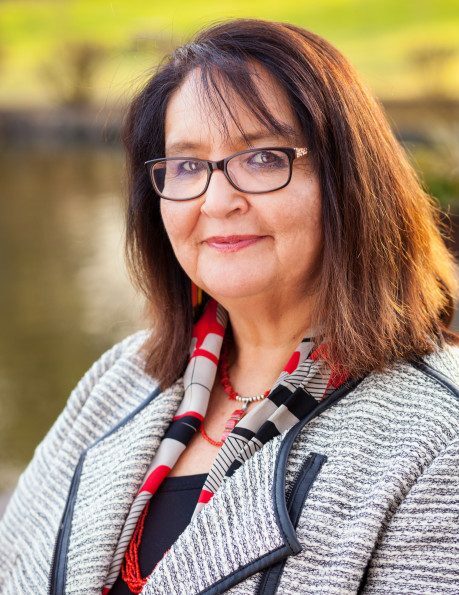 Billie Jo Kipp, Ph.D. is the President of Blackfeet Community College. Previously, she had been the Associate Director for Mental and Behavioral Health at the Center for Native American Health, The University of New Mexico. Dr. Kipp has a Ph.D. in Clinical Psychology. Her research has focused on the effects of a Blackfeet cultural and language immersion program on Blackfeet children’s intelligence, racial identity, and self-esteem. Additionally, she has investigated the differences of crystallized intelligence and fluid intelligence in American Indian children and American Indian children with a diagnosis of Fetal Alcohol Syndrome. Her research on building capacity for diabetes management in tribal communities focused on the reduction of health disparities among minority populations. Dr. Kipp is committed to culturally responsive research and providing research that is useful for tribes.